Spending the winter in Central Asia may be the most unusual choice. More so if the place is Ulaanbaatar, the capital of Mongolia. It’s a city of low-slung block housing, with Cyrillic signs dotting the landscape—indeed, a throwback to its Soviet days. There are touches of modernity: skyscrapers rising up amidst the somber vestiges of the country’s communist past. While most tourists flock during the summer where weather is a temperate 16 to 20 degrees and foliage is abloom, I decided to visit in January, the coldest time of the year, with an average temperature of minus 30 degrees. Everything is covered in snow—more like ice, really since the snow may have fallen mid December, but it still lined the streets. Since I wasn’t the adventurer, I decided to visit Mongolia because I was fascinated by its history. 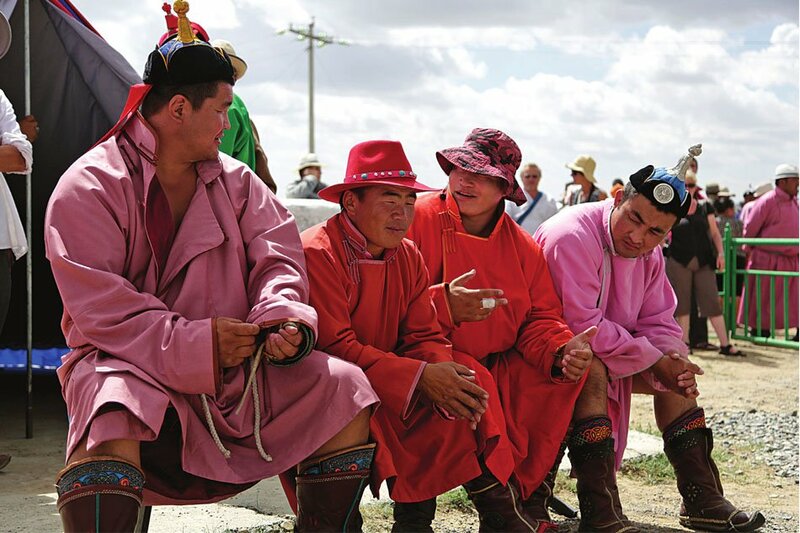 Here was an empire that once controlled much of the world, an empire so feared and expansive, it’s said people from all over the world today can trace their ancestry back to the conquering Mongols. And it may just be true. The Mongol Empire originated in Central Asia and eventually stretched to Eastern Europe and Japan, extending north to Siberia, east and south to the Indian subcontinent, Indochina, and the Iranian plateau, and west to what is now Cyprus, Egypt, Iraq, Israel, Jordan, Lebanon, Palestine, Syria, and Turkey. 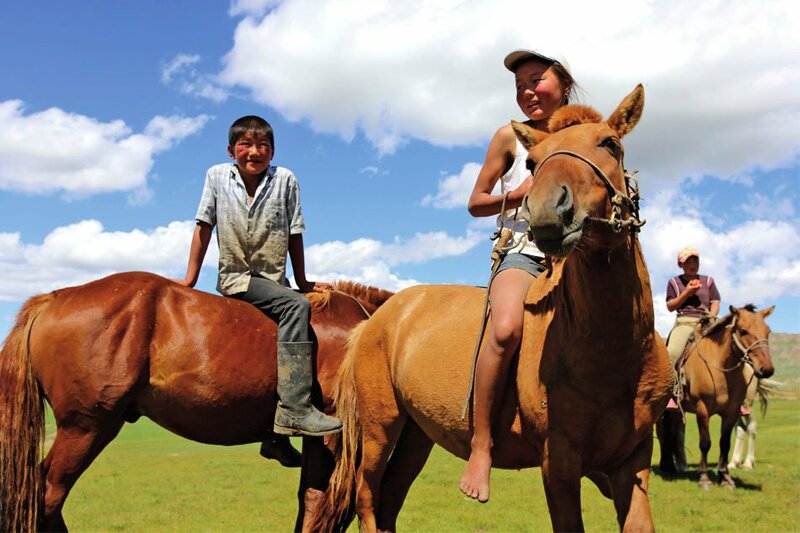 The empire Genghis Khan once established is now contained in 1.56 million square kilometers. It’s about one-sixth the size of the United States and surrounded by Russia to the north and China to the south. Half of the population of around three million lives in the capital. During the freeze, nomadic families trek back to the city and set up traditional ger camps on the capital’s fringes. Hot stoves are fired using coal, which is also used for power generation. Thus, Ulaanbaatar can be smoggy and breathing can be quite difficult. Wrestling, a popular activity in the Naandam festival. 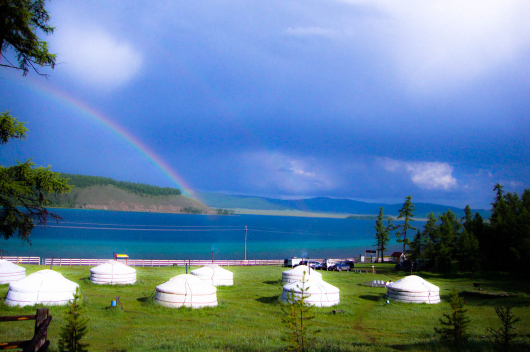 So winter isn’t a great time for tourism in Mongolia. The smoggy air, the roads blocked by snow, and camping—the highlight of the trip to the Gobi Desert—would be a freezing nightmare. I was sad that we couldn’t simply wander off for a week with a tent and kayak on the river, but we made do. Surrounded by a blanket of white, I would arrange daily excursions and spend a day just traveling out. I booked a dog sled ride at the Telrej National Park and dressed the part—mummified in layers of blankets and puffer coats. I was zipped into a canvass toboggan and sped over 40 kilometers of barren forest and iced rivers pulled by over a dozen huskies. The dogs are maniacal and relentless, straining at their leashes to propel the sleigh forward at about 10 kilometers an hour. It was nowhere near the idealized version of sleigh rides we harbored in our youth. The dog keepers kept the huskies in line by adopting a bullying, abusive tone, and throwing a few branches at them to keep them going. It felt brutal—the dogs howled, subsuming the sound of sleigh cutting through ice. Then there is the ger, a portable round tent made of felt and wooden columns traditionally used by nomadic families. 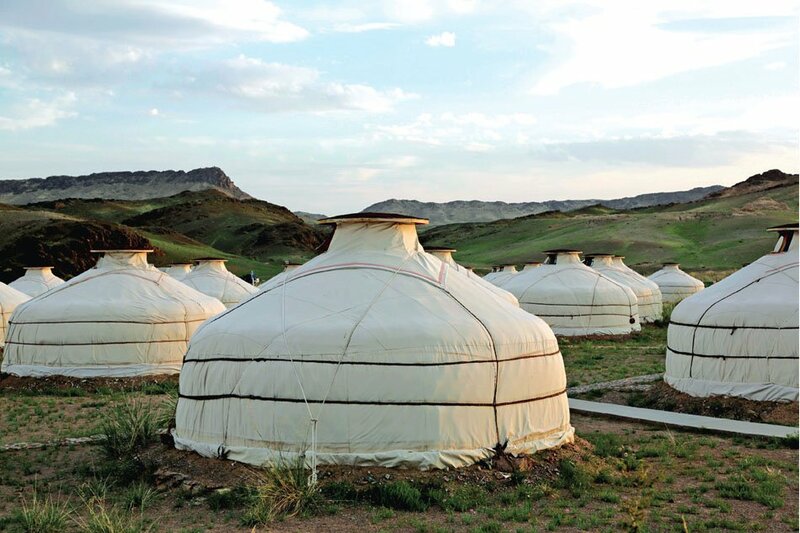 Dating back to the Mongols, gers have also become the inspiration for new hotels found within the national parks. As a matter of fact, the parents of our guide who lived right outside the national park had a modernized ger. It had a plexiglass skylight and satellite TV. A stove stood at the center of the ger to cook on and to provide heat. We were served a heavy soup of lightly salted meats and condiments with Knorr! An ordinary sight in Ulaanbaatar. 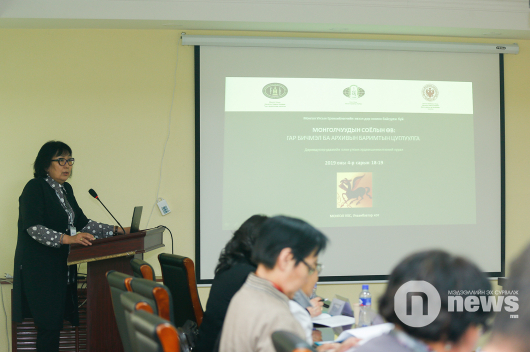 The Mongolian diet considers the cold climate nine months of the year. 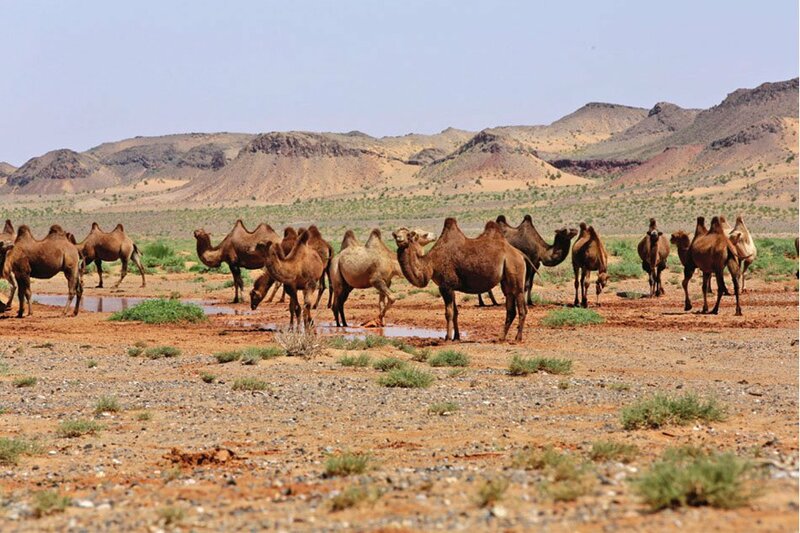 Their cuisine is linked to the country’s nomadic traditions and is also influenced by food from Russia, China, and other Central Asian countries. 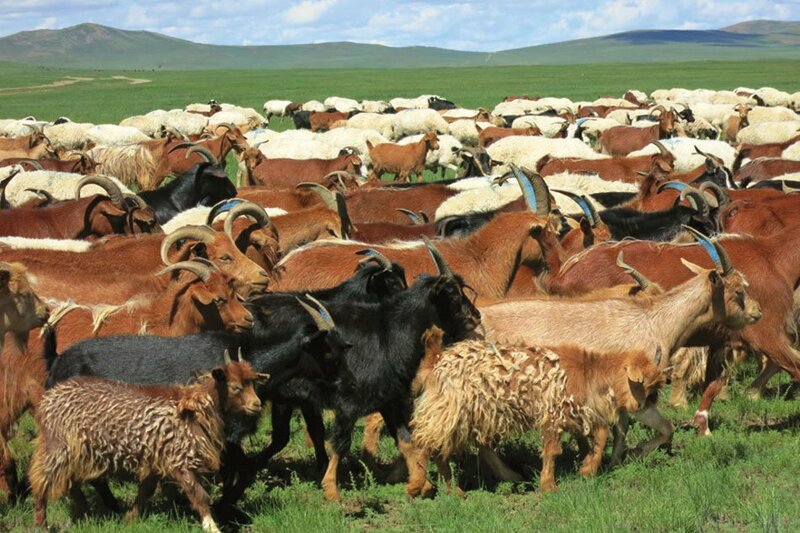 The staples of the Mongolian diet are boiled mutton, Tibetan-style dumplings, and tea mixed with sheep, cow, camel, or horse milk. Much of the food is quite heavy or greasy. Vegetables and fruits are in relatively short supply. If you ask why, Mongolians often say, “Meat is for men and grass for animals.” Mutton, soup, and dumplings have been served traditionally at breakfast, lunch, and dinner. A meal without any one of them is regarded as incomplete. A typical meal in a ger camp includes cabbage salad, noodle soup, meat stew, rice, biscuits, and beer. Picnic meals out on the steppe include corn salad, noodle soup, beef, rice, and an orange for dessert. Fresh milk and yoghurt are often purchased from herds in the area. 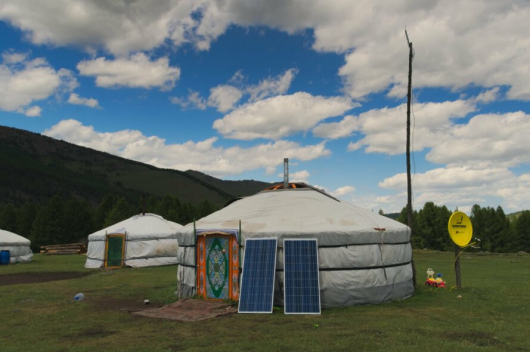 If you want to avoid the crowd—and if you can stand subzero temperatures, winter in Mongolia may be for you. 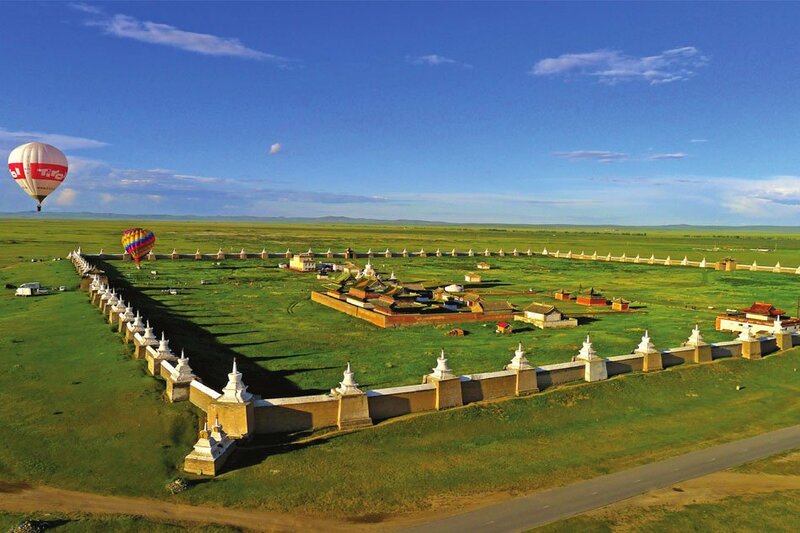 You can travel to Ulaanbaatar via Hong Kong or Seoul. The flag carrier—MIAT Mongolian Airlines flies to the capital from these cities. 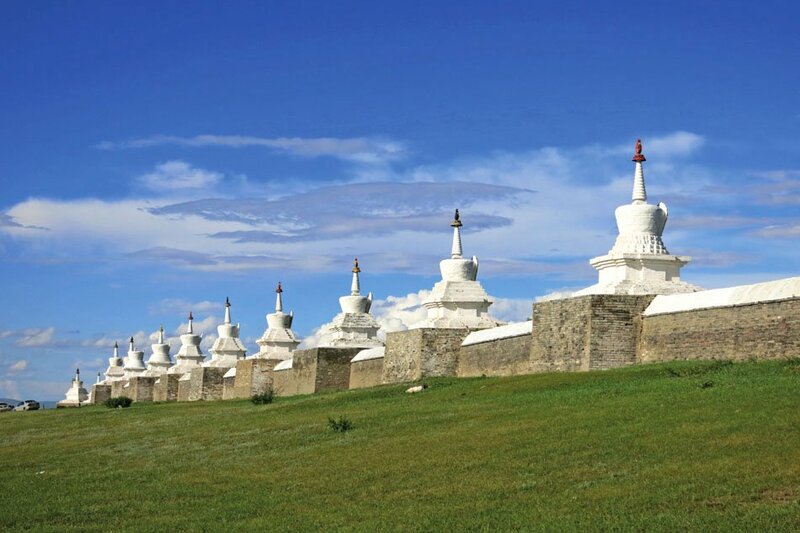 Should wanderlust bring you to roads less traveled, Mongolia may be the place for you.